One of my goals this year for my family was to eat as healthy as possible. If you follow my blog, you know I enjoy cooking, it’s a passion of mine. I want to continue to feed my family great things, but as healthy as I possibly can. I’ve heard about Shady Brook Farms and Honeysuckle White turkey products, but wanted to try them firsthand for myself, so that’s what I did. Since my family loves breakfast, I decided to do a little experiment on them. 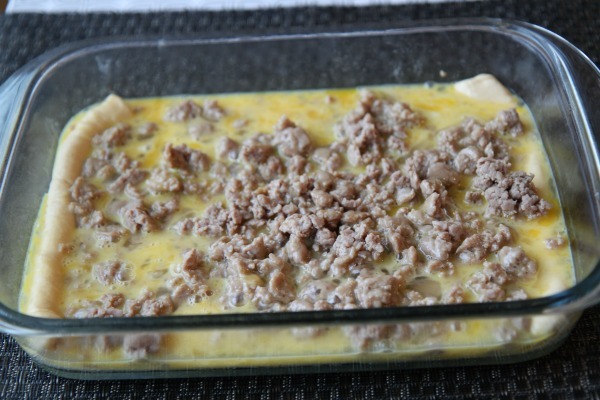 I made Easy Turkey Sausage Breakfast Casserole and I usually make it with sausage, but this time I made it with Honeysuckle White turkey, my family loved it and so did I. It’s encouraging to know that I can make our favorite foods healthier with the change of one simple ingredient. I noticed that Shady Brook Farms and Honeysuckle White turkey products are very affordable. I was able to stay on budget with our meal, which makes me incredibly happy. Although I’ve used chicken in the past, after doing some research, I have noticed that turkey is a great source of protein and has less fat, cholesterol, and calories. It’s a great go to main ingredient for the meals I make for my busy family. I love that Shady Brook Farms and Honeysuckle White turkey has a variety of products. 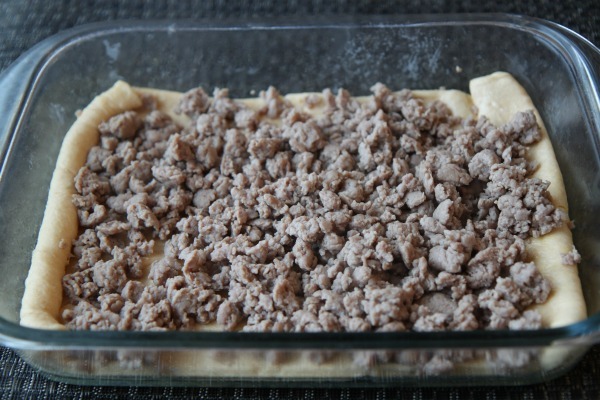 These products include ground turkey, turkey sausage and turkey breasts. I seriously love how interchangeable these products are with what I was using. However, these options are much tastier and healthier! When you are cooking Shady Brook Farms and Honeysuckle White turkey products, keep in mind that you are providing a very nutritious and savory option for your family. It’s a great product that will fit in any budget. Just keep in mind as you cook the turkey, it needs to an internal temperature of 165 degrees Fahrenheit. 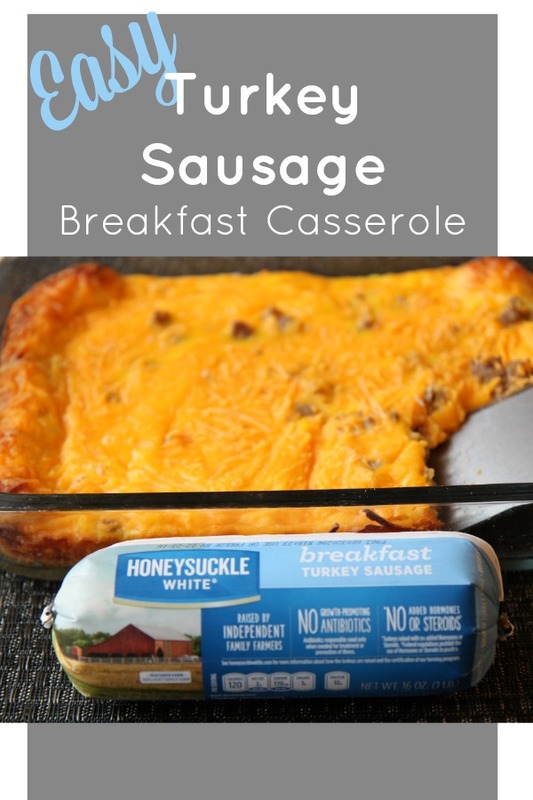 Check out my Easy Turkey Sausage Breakfast Casserole and head to your local store to purchase your very own Shady Brook Farms and Honeysuckle White turkey products. Preheat oven to 350 degrees. 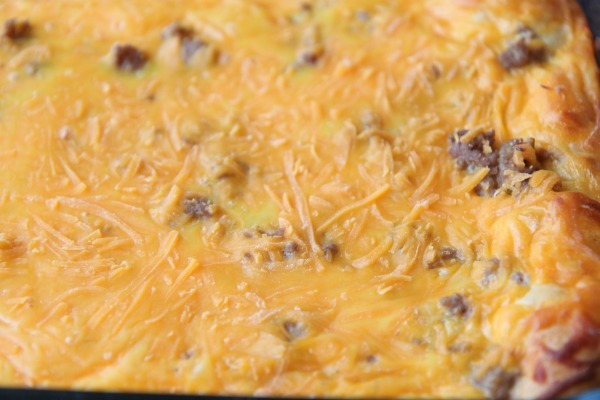 Cook turkey sausage in skillet. 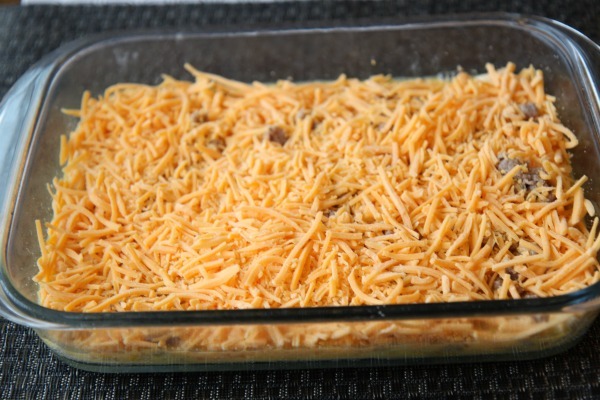 Grease or spray non-stick spray on a 9″ x 13″ baking dish. Spread croissant dough on bottom of baking dish. Add sausage. Grease or spray non-stick spray on a 9" x 13" baking dish. Spread croissant dough on bottom of baking dish. Add sausage. 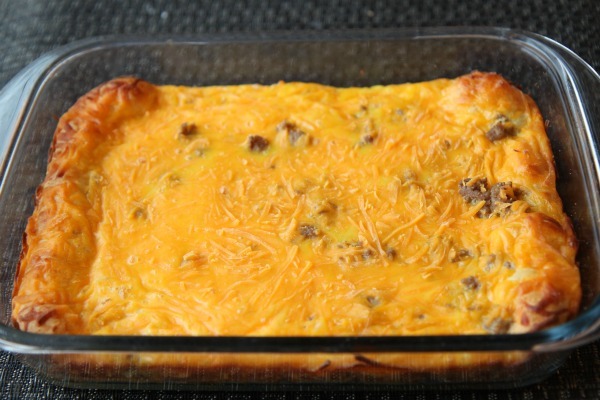 Pour eggs over sausage.